JLT Novices Chase winner Defi Du Seuil has been ruled out of the Aintree National meeting after knocking a joint in training at the home of trainer Philip Hobbs. The former Triumph winner landed his second career success at the Cheltenham Festival in great style over old foe Lostintranslation, and was a hot favourite to follow up in the Manifesto Novices' Chase on Thursday - for which he was as short as 5/4. Sadly, the JP McManus-owned six-year-old joins a growing list of absentees from the meeting, after the mare Ms Parfois was ruled out on Monday afternoon of the big race itself. (Credit: Racing Post) Trainer Philip Hobbs said: "Unfortunately Defi Du Seuil has knocked his off-fore fetlock joint in a little piece of work and he cannot be ridden for at least a couple of days. "In the circumstances he cannot run at Aintree on Thursday, which is a big blow for his owner JP McManus and everybody at the yard as he would have had a leading chance in the race." 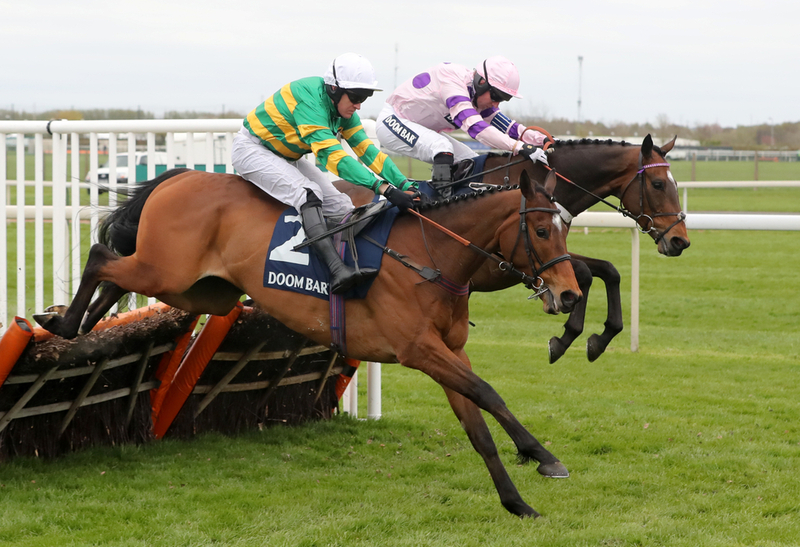 Aintree's loss however could be Fairyhouse's gain when the Irish Grand National meeting is staged over the Easter weekend in three weeks time. Hobbs continued: "The hope is that he will soon recover from this very minor setback and will be able to run at Fairyhouse later this month in the Grade One Ryanair Gold Cup." Defi's absence leaves a field of eleven going for the Grade One chase over two-and-a-half-miles, with Glen Forsa and Kalashnikov looking to make amends from early mishaps in the Racing Post Arkle. Mick Channon's runner has since been promoted to the role of favouritism with the mare La Bague Au Roi - who does have the option to continue racing over three-miles in the Betway Mildmay Novices' Chase. La Bague Au Roi - who skipped Cheltenham, is a dual Grade One winner over fences, and has been in sensational form this season for Warren Greatrex. Greatrex would have been licking his lips at the outcome to the RSA as Santini and Topofthegame fought out the finish - franking the form of the Kauto Star at Kempton over Christmas where the eight-year-old beat them both. The Lambourn trainer also has the exciting Emitom to look forward to, who has been entered for the Grade One Doom Bar Sefton Novices' Hurdle and the Grade One Betway Mersey Novices' Hurdle. The Aintree Festival kicks off on Thursday afternoon with the Devenish Manifesto Novices' Chase at 1:45.